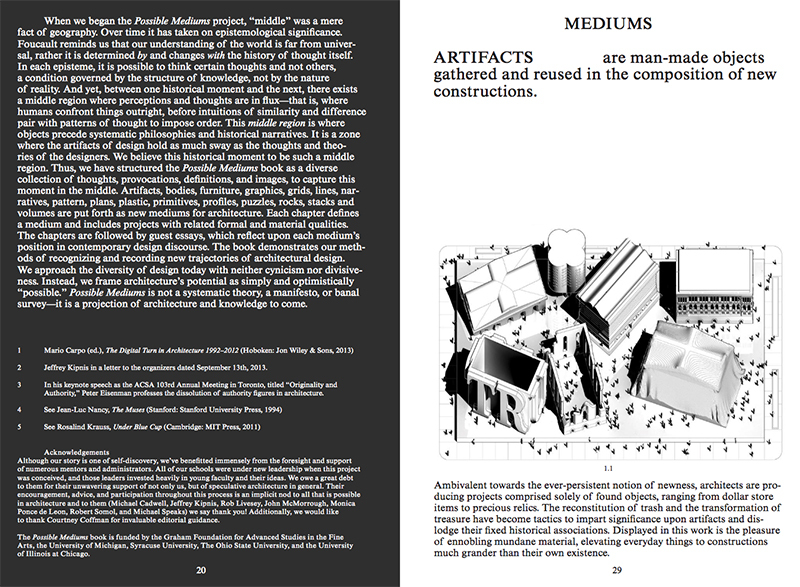 The lovely, visually rich Possible Mediums book presents the projects of around 40 young architects as a sort of taxonomy: the cover lays out the formal terms that categorize their work, from artifacts (“man-made objects gathered and reused in the composition of new constructions”) to volumes (“sequences of contained spaces resulting from the articulation and accumulation of surfaces”). 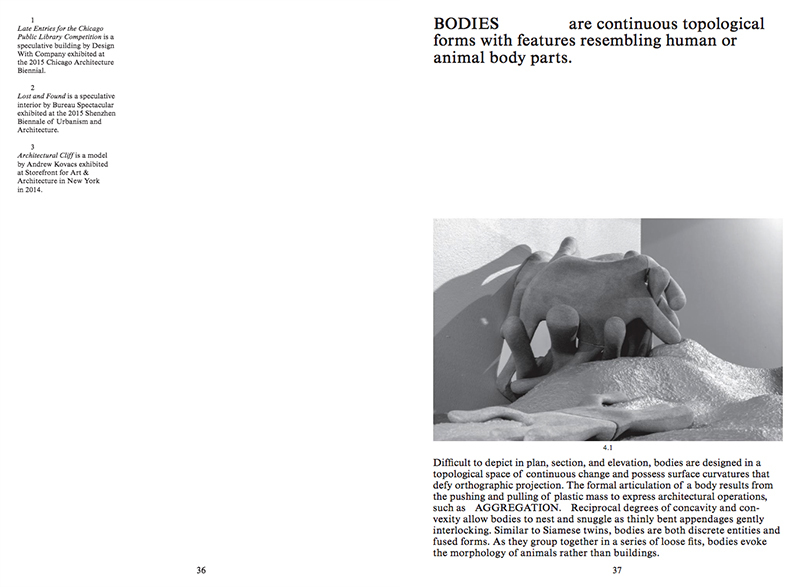 The drawings, renderings, and models are presented exclusively in b/w images (outside of 16 color pages inside the front and back covers), giving them all almost equal stature — fitting considering how the editors accentuate how the contributors to the six-year-old Possible Mediums project are more a collective than a group of individuals. 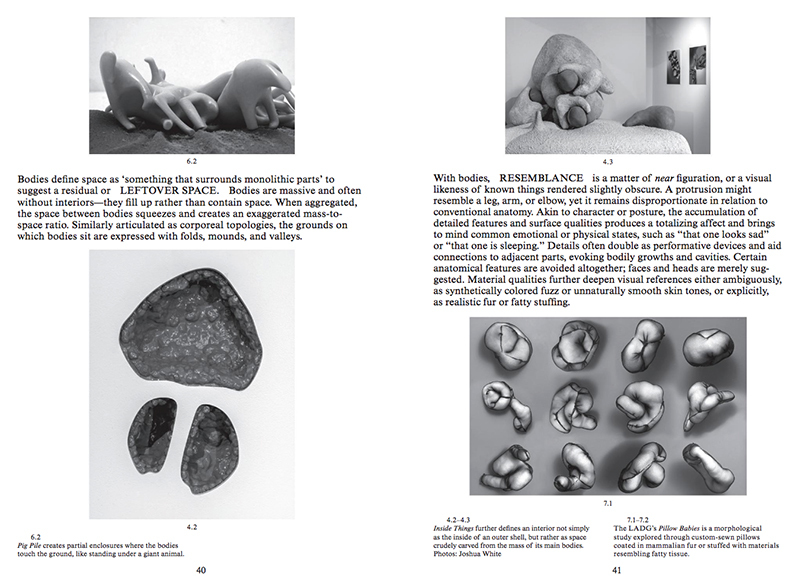 Formally, the installations, speculations, pieces of furniture, and so forth come across as goofy, grotesque, and playful — all un-self-conscious. Even so, it’s clear the work is all serious and well-considered. 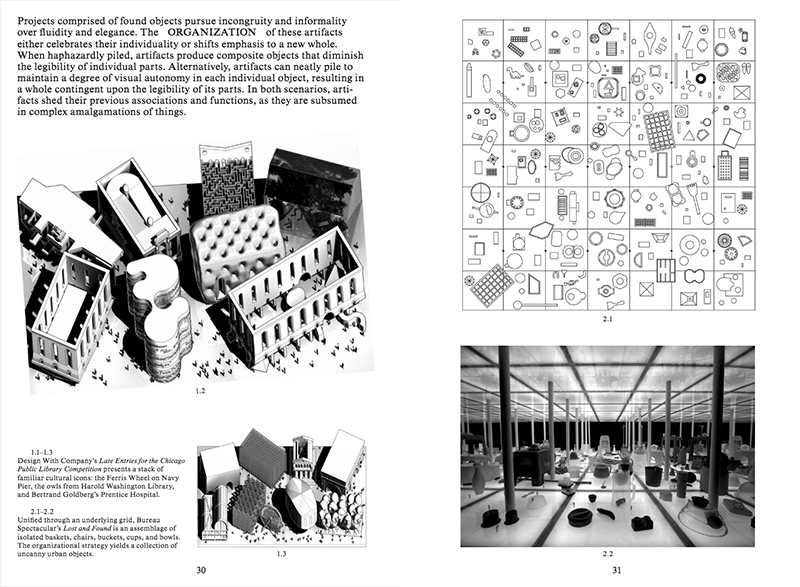 If, like me, you were intrigued by some of the contributions to the second Chicago Architecture Biennial or other these-kids-really-like-PoMo installations and projects in recent years, Possible Mediums is the book for you. Kelly Bair is Partner of BairBalliet, Principal of Central Standard Office of Design, and Assistant Professor at University of Illinois at Chicago School of Architecture. 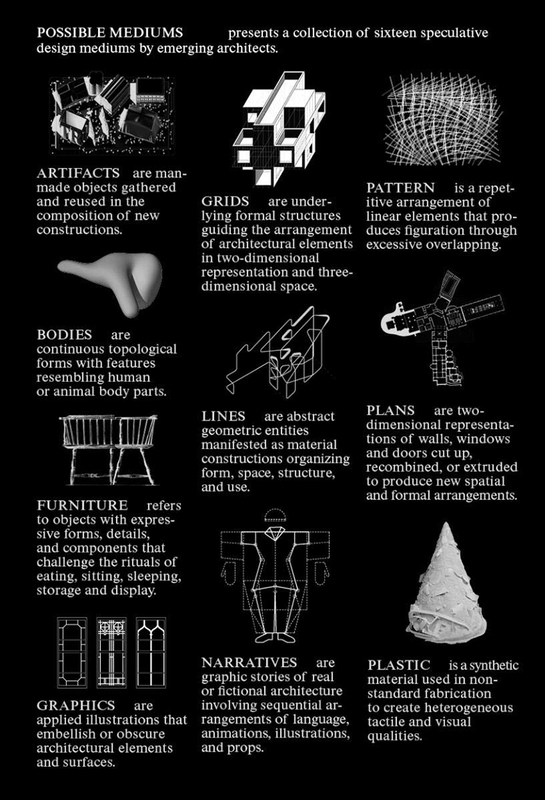 Kristy Baillet is is Partner of BairBalliet, Principal of Balliet Studio, Faculty at SCI-Arc, and Associate Professor at The Ohio State University Knowlton School of Architecture. Adam Fure is Principal o T+E+A+M and Assistant Professor at University of Michigan Taubman College of Architecture and Urban Planning. Kyle Miller is Architecture Program Director at Syracuse University in Florence and Assistant Professor at Syracuse University School of Architecture.